A303 Stonehenge Expressway – A monumental disaster! 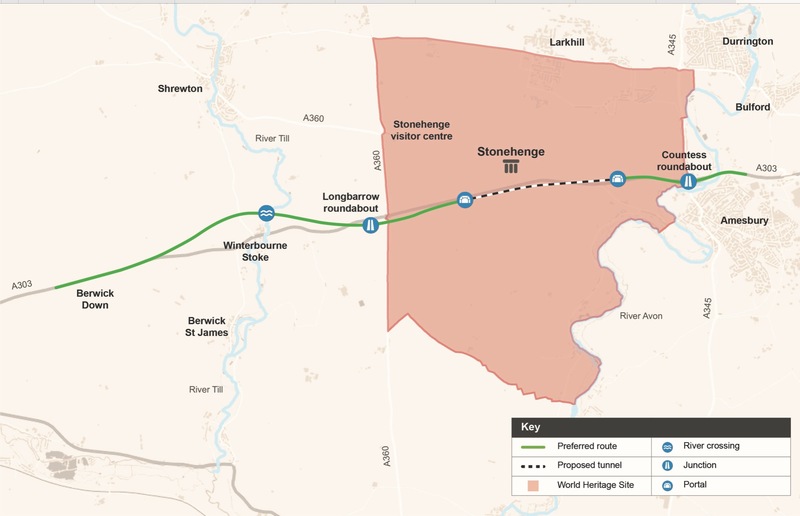 16 November 2018 – Highways England’s application for the Stonehenge Expressway and short (around 3km) tunnel was accepted today by the UK Infrastructure Planning Inspectorate. The planned engineering works would scar the Stonehenge landscape for ever. There would be extensive tunnel cuttings into the chalk for four lanes of tarmac, and massive highway interchanges through sensitive archaeological areas. 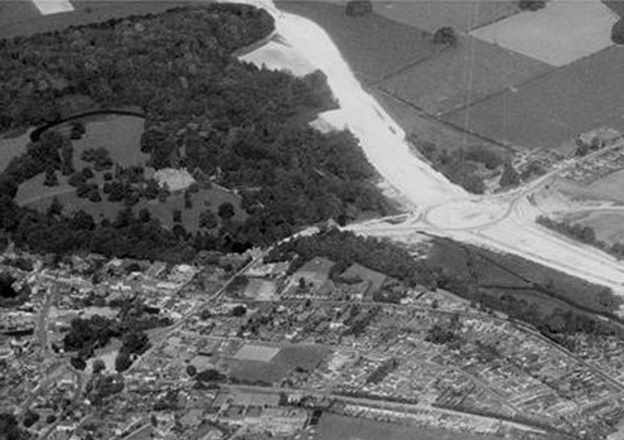 Over Countess Roundabout, shown under construction in the 1968 image above, there would be a colossal flyover into the World Heritage Site, looming close by the Mesolithic site of Blick Mead. The deep cutting through the hillside below Vespasian’s Camp, under woodland at the top of the image, would be further widened for the eastern tunnel approach over what was once the parkland of Amesbury Abbey and, long before that, a prehistoric cemetery, parts of which are still visible on the ground. Loss of World Heritage Status? Some five years of construction and traffic chaos would leave the Stonehenge landscape so altered that loss of its World Heritage status is already feared. The advice of international experts and leading archaeologists, and the outright objections of the clear majority of those who responded to Highways England’s consultations have been ignored. The estimated cost of the project has now risen to £1.7bn. Quite apart from the damage it would cause to our ancient heritage, the scheme is assessed in Highways England’s documents as low value for money. 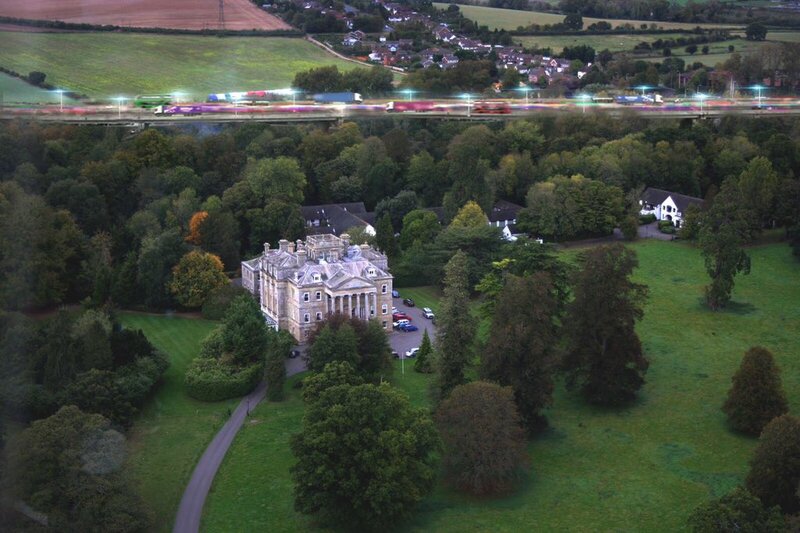 Without incorporating Highways England’s valuation estimate of the inappropriately described ‘heritage benefit’ of the short tunnel, the scheme would be poor value for money. Surely, there must be better ways of spending £1.7bn than on a damaging scheme that is predicated on Government demands for “affordability, deliverability and value for money”? This road-widening project revives a discredited transport policy scrapped in the 1990s, based on the misunderstanding that building more and wider roads will relieve congestion. The Stonehenge road scheme will be judged by a panel of planning Inspectors early in 2019. Would you like to express your opinion as an individual or on behalf of an organisation? Please sign up for email updates from the Infrastructure Planning Inspectorate. The Inspectorate will keep you informed of the progress of the Development Consent Order process and how you can register as an Interested Party in order to make your views known. Watch Professor Mike Parker Pearson, leading expert in British Neolithic archaeology, express his views about the damage the scheme would do to the World Heritage Site and its legacy to future generations.